Will Mobile Wallets Completely Replace Physical Wallets? Tech freaks all around the world are waiting eagerly for the day when mobile wallets will replace the physical wallets. After all, there certainly lies a promise of convenience. Rather than searching for the credit or debit card in the pocket, all one would need is tapping his smart device for every possible purpose- be it paying for meal or that new jean. Mobile payments certainly have a lot of money to be made. Apple, Google and Samsung, all have rolled-out solutions from their own side in addition to the various other payment solutions like mPESA, Alipay, Yandex and PayTM. Centuries ago, we had a global currency- Gold coins and then we had a world which has more than 180 currencies. Recently, almost just a decade ago, the average number of cards being carried by any person in Japan was 28- debit cards, credit cards, IDs, cash cards, tickets, trains and bus passes, membership cards, repair receipts, commuter cards and a lot more. In the year 2011- a bit of very recent history, Google Wallet was launched in NYC illustrating how a shopper could pay in stores, earn loyalty points and redeem coupons- all just with the tap of phone, using a technology called ‘NFC’. But then, Google wallet had its own limitations being available only with one phone model, with an exclusive issuing bank and carrier and also the acceptance by limited merchants. Thus, regardless of the fact that it was revolutionary, there seemed a lot of time before it could become an omnipresent payment technology. Fast forward to the year 2015 when things have significantly changed. The vital changes include NFC technology being provided with almost every high-end smartphone. Android is supporting mobile payment technology for years now and the tech giant Apple has recently stepped into the game with its then Flagship device- iPhone 6. The circumstances unintentionally lead to the miraculous thought- Are Google and Apple agreeing on the same standard? Yes, it’s a fact that still there are a number of issues prohibiting the global acceptance of digital wallets but as new technologies supported commonly by multiple platforms have always revolutionized the consumer trends, we can expect this one to take place as well. The mass adoption of digital wallets needs only the elimination of hurdles like security concerns and lack of knowledge. To help address these challenges, some of the most interesting developments have been put forward from different parts of the world. · Technology-driven, Non-bank payments- With Apple pay heading to Europe soon, will tech giants like Google, Facebook, Amazon and Square gain the consumer’s trust with their mobile wallets where several initiatives have not given much results. · HCE (Host Card Emulation) – With the announcement from Google that Its Android 4.4 OS will support HCE, it is anticipated as the breakthrough required to fully embrace mobile payment. · MPOS- With the introduction of Poynt in the US, MPOS is no longer just a mobile payment tool. Poynt raises the MPOS device bar by allowing the development of merchant solutions including features like CRM and Employee management among others. The mass-adoption of mobile wallets relies majorly on in-store payments. Thus, it would be quite interesting to see which standard wins for the in-store purchases in the coming years. The article is authored by Mahindra Comviva Team. Mahindra Comviva is the global leader in providing mobility solutions. It is a subsidiary of Tech Mahindra and a part of the USD 16.5 billion Mahindra Group. With an extensive portfolio spanning mobile finance, content, infotainment, messaging and mobile data solutions, Mahindra Comviva enables service providers to enhance customer experience, rationalize costs and accelerate revenue growth. 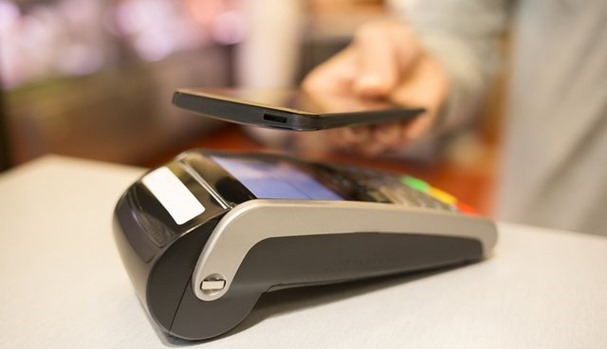 "Will Mobile Wallets Completely Replace Physical Wallets? ", 5 out of 5 based on 2 ratings. Chillr Launches ‘Mass Pay’, An Enterprise Bulk Pay Solution!